"Alright, you guys do my laundry, clean my apartment and bring me snacks. When are you going to start a term paper writing service?" Service includes pick-up and delivery of up to your chosen plan amount of laundry per week for the entire semester. 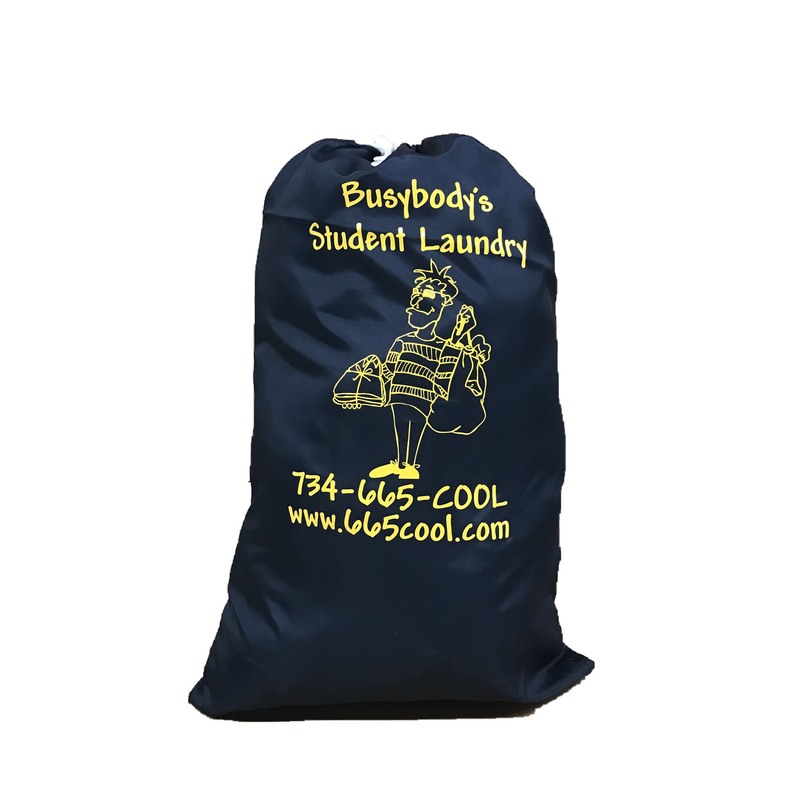 All semester plans come with a Busybody's laundry bag. Pro-rated Prices are now posted (prices are adjusted each Friday for service starting the following week). Don't think you need weekly pick-up service? We offer "One Time" service for $25. "One Time" service includes pick-up and delivery of up to 20 lbs of laundry. Anything over the 20 lb limit will be billed after the fact at $1.50/lb.